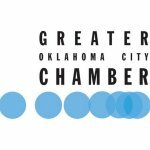 Want To Sell Your House Fast in Del City? We are a locally owned, BBB Accredited company that BUYS houses in Del City. We aren’t your normal, picky home buyers that take 45-60 days to close and ask for repairs and for you to pay their closing costs…. Here’s how to get cash for your home in as little as 14 days. 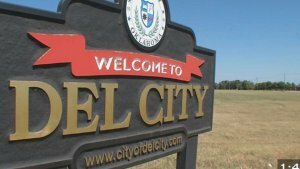 Del City, Oklahoma may be a reasonably affordable place to live but the housing market for the area hasn’t been in the best shape. While it does fluctuate, home appreciation has been down in many areas and that means it’s not the best time to buy a house. That can make it difficult to sell a house fast and you’ll often be left waiting if you try to sell a home through the traditional process. That process is made even longer when you take into consideration the time involved in making necessary updates, repairs, and renovations to get your home ready for market. Even basic cosmetic updates can add weeks to the process. Then there’s the out of pocket cost for those updates. That’s why more homeowners in Del City are coming to W Properties to sell their homes fast. Unlike traditional buyers, we’re an investment company with a streamlined process. 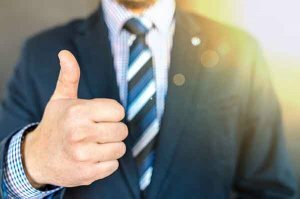 Thanks to relationships with local title companies and attorneys we’re able to make cash offers and close on your home, as-is, to get you paid quickly. It’s a hassle-free, no-cost approach to selling your home as-is. We buy your home in any condition and close within 30 days. We’ve even been able to close and pay sellers as quickly as 14 days. 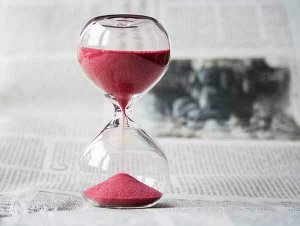 How Long Does It Take to Sell a House in Del City, OK? With a shaky housing market, buyers are often reserved and tend to wait for betting conditions where they know their purchase is more likely to appreciate. Selling a home through traditional listings in Del City is risky because there’s a good chance your home won’t sell for some time. On average, it can take a few days for a listing to go live. Once your home is listed it could be 30-60 days (or more) before you get your first offer. Then there’s the delay that comes with waiting to close. The worst part of the selling process that creates a lot of hassle is finding reliable contractors to make required updated all while you host open houses and have to leave your home for showings. Imagine how frustrating it is when you finally have someone interested and ready to close when the buyer suddenly changes their mind and backs out. More homeowners are choosing to sell to W Properties to avoid all that hassle. Show us your home once, that’s all it takes. No more worry about multiple interruptions. More people sell their homes in Del City through W Properties because of how we simplify the entire process. No real estate agent can get you the best cash offer for your house in the same amount of time. A good agent can help you sell your home, but they can’t guarantee the sale or ensure that it happens quickly. Since we’re the buyer we trim the process down to just three steps and can provide you a cash quickly. Better yet, we make cash offers on homes in Del City in virtually any condition whether they have fire, water, or storm damage. We often see homes from probate and inheritance, homes in need of costly updates, and sometimes they’re from a homeowner who wants to avoid all the hassle of a traditional listing. Got stuff you don’t want? Leave it. No cleaning necessary. We’ll take care of it at no cost. Does you need repairs before you can sell the home? If so, do you have the funds to make them quickly or will you have to space out repairs and prolong the sale? Are you able to wait for your home to sell while paying the mortgage, insurance, taxes, etc.? What happens if your home never sells – what’s your plan? If you want to sell your property in Del City, OK fast then call or text us today at (405) 673-4901 OR fill out the form below. We’ll connect with you right away and get you a cash offer fast.